Tickets may be purchased in person at the Fox Theatre Box Office at 531 N. Grand Blvd, or 24/7 through MetroTix.com, or by phone 314-534-1111. MetroTix is the Fox Theatre's only authorized ticket seller. Visit our Upcoming Shows page and click on the show of your choice for a show description. If the show is on sale, a “Find Tickets” link will appear—click it to order tickets through our ticketing service, MetroTix. Tickets can be ordered 24 hours a day, 7 days a week. MetroTix service charges apply. Call our MetroTix ticketing center at (314) 534-1111 or (800) 293-5949. Hours of operation are 9am to 9pm, 7 days a week. MetroTix service charges apply. Please visit the Fabulous Fox Theatre box office at 531 North Grand Boulevard. Box Office hours are Monday through Friday 10am to 6pm and Saturday 10am to 2pm. There are no additional service charges for Fabulous Fox Theatre tickets purchased at the Fabulous Fox Box Office. Mail your COMPLETED ORDER FORM with payment to: Fabulous Fox Theatre Box Office, 531 North Grand Boulevard, St. Louis, MO 63103. Please add $5.00 per ticket to your order for processing. Please include your address so we may mail the tickets to you and a phone number where we may reach you if we have questions about your order. How do I redeem Fabulous Fox Gift Cards? The Fox Theatre Gift Card is valid as payment for all Fox Theatre tickets and is redeemable through The Fox's exclusive ticket agent - MetroTix, over the phone or online or in person at the Fox Theatre Box Office. To redeem your gift card over the phone or online, call MetroTix at (314) 534-1111 or visit Metrotix.com. You will need the full 21 digit card number and the 4 digit pin number to finalize your transaction. 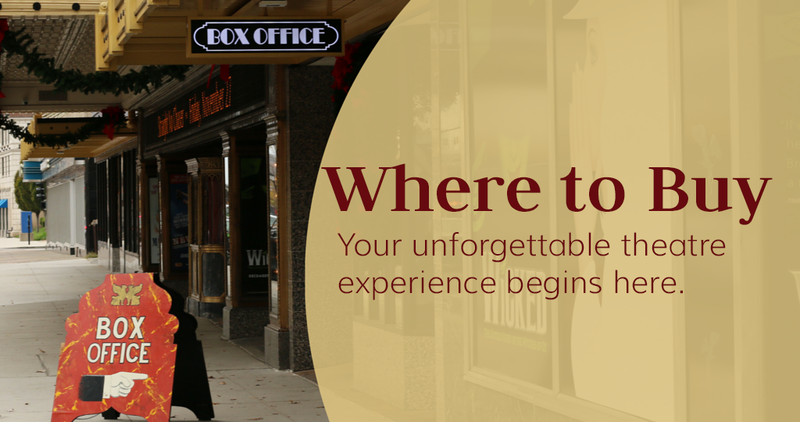 To redeem your gift card in person, visit the Fabulous Fox Theatre Box Office at 531 North Grand Boulevard. Box Office hours are Monday through Friday 10am to 6pm and Saturday 10am to 2pm. There are no additional service charges for Fox Theatre tickets purchased at the Fox Box Office. How do I redeem Fabulous Fox Gift Certificates? The Fabulous Fox Theatre (St. Louis) Gift Certificate is valid as payment for all Fabulous Fox Theatre events. The Gift Certificate may be used to purchase tickets for any event that is on sale at the time of redemption. Gift Certificates are valid for 5 years from date of purchase. The Gift Certificate is ONLY redeemable at the Fabulous Fox Theatre Box Office in person or by mail. It will not be accepted by phone or internet. The Gift Certificate is not refundable or replaceable if lost, destroyed or stolen. Fabulous Fox Theatre Gift Certificates are available for purchase in person at the Fox Theatre Box Office, online at MetroTix.com and via MetroTix charge-by-phone. To redeem your gift certificate by mail, send your COMPLETED ORDER FORM with payment to: Fabulous Fox Theatre Box Office, 531 North Grand Boulevard, St. Louis, MO 63103. Please add $5.00 per ticket to your order for processing. A credit card may be used to make up the difference between the cost of your tickets and the amount of your gift certificates. If the total for the tickets is less than the amount of the gift certificate you will receive the difference in gift certificates, unless the amount is under $5. Please be sure to also include your address so we may mail the tickets to you (time permitting) and a phone number where we may reach you if we have questions about your order. Please note the Fabulous Fox Theatre in St. Louis is not affiliated with any other Fox Theatre in the United States. Gift certificates for the St. Louis Fox are not redeemable at any other Fox Theatre, and gift certificates for any other Fox Theatre are not redeemable at the St. Louis Fox. Groups of 15 or more people are eligible for a discount for many of the shows at the Fabulous Fox Theatre. For shows which we are unable to offer a discount, we may still be able to assist your group with seating arrangements. Your group will be given special treatment — including seating priority over the general public. See our Group Services page or call the Group Sales office today at (314) 535-2900 to arrange for your group visit to the Fabulous Fox Theatre! In the event that you lose or forget tickets to your performance that were ordered through MetroTix or the Fox Theatre Box Office, please call MetroTix at (314) 534-1111 or (800)293-5949 from 9am-9pm to have your tickets reissued. The original purchaser will be asked to verify all account information. Reissued tickets will override the originally printed tickets. Season Ticket Holders may contact Subscription Services at (314) 535-1700 Monday-Friday 10am-6pm or Saturday 10am-2pm. If your performance is same-day and it is outside of office hours, please call MetroTix for assistance. Group leaders may contact Group Services at (314)535-2900. What about third party resellers, ticket brokers, scalpers and secondary market/resale websites? The Fox Theatre can only guarantee tickets purchased through our official points of sale: the Fox Theatre Box Office and MetroTix. The Fox Theatre and MetroTix do not guarantee the authenticity of tickets purchased from any third party reseller (such as brokers or individuals), and cannot reissue lost or stolen tickets that were procured by any unofficial source. Third party resellers may set their own pricing at above face value. If you feel you were misled by the company you purchased your tickets from, we encourage you to contact that company directly and/or to dispute the charge with your credit card company. Further, we recommend contacting both the State Attorney General and the Better Business Bureau to express your displeasure with the company that you purchased from and with ticket scalping in the state.